I took this picture in Antigua, Guatemala. I love the repetition of the image that creates a depth and draws you in. The arches, the lights and the pillars. 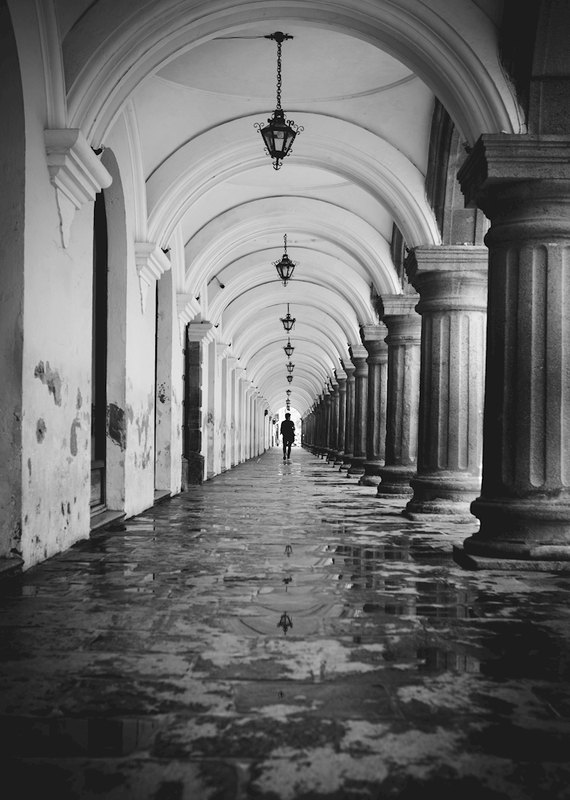 An amazing photo print taken in Antigua, Guatemala of a lone person walking through a hall of arched pillars. The dramatic curves and depth of the poster create an interesting composition and will definitely add another dimension to your walls.